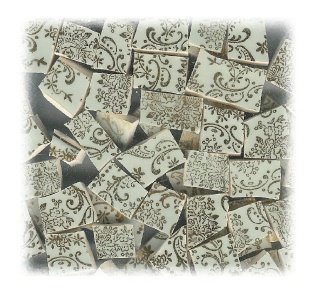 8 oz bag of tiles from Edwin Knowles china plates. Gold filigree on pale aqua. All non-rim tiles. Tiles average approximately .625" wide.